Read our 300 5-star reviews from accross the web. You will see why we are the Philadelphia area’s highest rated limousine and transportation company. Covering everything from Weddings, to Airport Transportation, Corporate Travel, Nights Out and so much more! Kevin Smith Transportation was the BEST company to work with when planning my daughter's wedding. Everyone from the office to the drivers were professional, friendly, and so helpful. The women in the office helped me create a schedule for …MoreKevin Smith Transportation was the BEST company to work with when planning my daughter's wedding. Everyone from the office to the drivers were professional, friendly, and so helpful. The women in the office helped me create a schedule for both the Party bus and Shuttle. I could not have asked for kinder service. The drivers were friendly and efficient. Thank you so much Kevin Smith Transportation for helping to make my daughter's wedding day perfect. Adam was great to work with! Everything from the initial contact, scheduling, and confirmation was handled professionally. Our driver, Constantine, was a delight and treated everyone with great respect. We have used KSTG services in the past and will continue to do so. Our trip to the Academy of Music & back was terrific! Our driver, Mark made the trip a great one! Will definitely recommend your company. My experience with Kevin Smith Transportation Group was outstanding! The driver was on time, took us to the airport and was courteous, and well-mannered. He was on time to pick us up after the trip and brought us all home safely. We rented a 14-passenger bus and it was perfect! Will definitely call them again. Kevin smith transportation was great. Our drivers ron and matt rocked. Ron got us up to NYC in no time. It was great to walk out of the restaurant and have the bus waiting for us. Matt told us where to meet him and we did.. it was a great …MoreKevin smith transportation was great. Our drivers ron and matt rocked. Ron got us up to NYC in no time. It was great to walk out of the restaurant and have the bus waiting for us. Matt told us where to meet him and we did.. it was a great experience and I would recommend both of these drivers and this company. The ride itself wasn't as smooth as I thought it would be, I guess that's the downfall of having a limo bus not a tour bus. Thank you!!! Naomi was professional, early and very friendly. The service overall was great with constant communication from booking till arrival on email and text. Awesome first leg of the trip. Early morning pick up!Driver arrived nearly, pleasant and friendly.Will use them again and again! Excellent service both to and from the airport. Both trips were in the wee hours of the morning, yet the drivers couldn't have been more friendly. I tend to be a chatty Cathy and they were able to keep up with me! Their appearances were …MoreExcellent service both to and from the airport. Both trips were in the wee hours of the morning, yet the drivers couldn't have been more friendly. I tend to be a chatty Cathy and they were able to keep up with me! Their appearances were very professional as was their driving. I hesitated on spending money on a car service to get to and from the airport, but this hassle-free experience was well worth it. I look forward to using them again! Kevin Smith is a wonderful company! My driver Gary picked me up at the airport and was extremely polite and helpful in waiting for an international flight. He texted me earlier that day with information on their ETA and my driver. 30 …MoreKevin Smith is a wonderful company! My driver Gary picked me up at the airport and was extremely polite and helpful in waiting for an international flight. He texted me earlier that day with information on their ETA and my driver. 30 minutes prior, I recieved a text from Gary telling me exactly where he was and when he would be there. He was very easy to find and took care of my bags right away. During the ride, he was a great conversationalist, but was very clear that if I wanted to sit back in peace and quiet, that was no problem. The car was very nice and he offered to adjust the temperature and music. He updated me on traffic and ETA throughout the trip and dropped me off in a timely manner. He was extremely polite from the beginning to the end. I recommend this company for any of your driving needs! Highly recommend Kevin Smith Transportation Group and professional driver, Constantine. Professional, first class service, amazing communication from the company, and an immaculate fleet. We look forward to planning our next limousine …MoreHighly recommend Kevin Smith Transportation Group and professional driver, Constantine. Professional, first class service, amazing communication from the company, and an immaculate fleet. We look forward to planning our next limousine transport. Also, check out their website to see how this amazing company pays it forward and their philanthropy. Simply amazing. We used KSTG for our wedding day, and post-reception back to the hotel, and they were absolutely flawless. …MoreSimply amazing. We used KSTG for our wedding day, and post-reception back to the hotel, and they were absolutely flawless.Our driver was great! I honestly would not have changed a single thing. Driver was very friendly and flexible (and a good driver), everything was done timely and we had a great time! Kevin Smith Transportation was fantastic from the reservation all the way to the 12 hours to NYC!! Ron did a wonderful job making sure we got exactly where we wanted to go!! Thank you!! This was my first time using Kevin Smith Transportation. Could not have been more pleased ! Our drivers name was Tony and he wasProfessional all the way ! Tony was pleasant …MoreThis was my first time using Kevin Smith Transportation. Could not have been more pleased ! Our drivers name was Tony and he wasProfessional all the way ! Tony was pleasantAnd did everything he could to make our trip enjoyable ! I will definitely be using this service again !!! Driver arrived on time, loaded a large amount of luggage and selected a route that got us safely to the airport at our targeted pre departure time. Professional, on time, and our driver was great!!! I would recommend Kevin Smith Transportation Group without hesitation! Amazing service, on time, clean and safe transportation. Constantine was the best!!! This company was used for a corporate event and was told over and over again, what great service we had. Will use Kevin Smith transportation for all my transportation needs in the future!! Always love using Kevin Smith Transportation Group for everything. my family is always so spoiled by their hospitality. They are always on time, give us 24hr check ins and their buses/limos so clean. The drivers are always so pleasant. I …MoreAlways love using Kevin Smith Transportation Group for everything. my family is always so spoiled by their hospitality. They are always on time, give us 24hr check ins and their buses/limos so clean. The drivers are always so pleasant. I would refer them to anyone, they get back to you so quickly and have helped me in last minute binds. Thank you! Our driver Matt arrived early and was super friendly and very helpful. The van was spacious and very clean. Will definitely use KST again! I had an excellent experience with Kevin Smith Transportation today. The rates are very reasonable and booking was quick and easy. The office staff was very friendly and knowledgeable when contacting them to finalize my trip. The driver was …MoreI had an excellent experience with Kevin Smith Transportation today. The rates are very reasonable and booking was quick and easy. The office staff was very friendly and knowledgeable when contacting them to finalize my trip. The driver was friendly and a pleasure to talk with. Overall a great experience. I would definitely use them again and recommend them to my family and friends. Damon is my favorite driver so far! And I loved the Cadillac. Very nice ride and made me feel extremely safe and comfortable. How do I put in my customer notes that I would like to request this driver and this car every time?! First rate job. Thank you so much for getting me to my destination safely and on time! Driver was punctual (arrived early then texted me so I knew he was there, but he didn't rush us), and he was very nice and accommodating. Mark was great! We had an awesome trip! I would definitely use Kevin Smith Transportation Group again! Great night! Very professional service. Matt was on time and kept us posted throughout the evening. Van was immaculate. I would use KSTG again in a heartbeat. Great experience! Responsive office staff, easy to book, very good notifications, and our driver Chris was a rock star. Had 12 people in the stretch Denali for a winery tour, and couldn’t have asked for better service. Collin was very patient and professional. He drove as if he was driving his own family. Always 5 stars for this company. They have the most professional drivers! Thank you for great service! Our driver was on time, friendly and kept us updated via text messages. It made our evening out smooth and fun. I will absolutely use them again in the future. October 20, Thank you Gary for a comfortable drive to JFK. Enjoyed our conversation & the quiet. Your professionalism was greatly appreciated. …MoreOctober 20, Thank you Gary for a comfortable drive to JFK. Enjoyed our conversation & the quiet. Your professionalism was greatly appreciated. Thank you Ken for a very comfortable & pleasant ride to the airport. It was a great first experience with Kevin Smith Transportation.September, 18 -Thank you Andy for a very pleasant and comfortable drive, from JFK. Absolutely the best service I have ever had the pleasure of using. Will definitely call them whenever I’m in need of any transportation. Driver Gary couldn’t have been any better. In planning our trip to NYC We decided to treat ourselves to a stress free mode of transportation. We chose Kevin Smith Transportation Group. What a good decision; everything was top notch. Our driver to NY was Mark and the trip back was …MoreIn planning our trip to NYC We decided to treat ourselves to a stress free mode of transportation. We chose Kevin Smith Transportation Group. What a good decision; everything was top notch. Our driver to NY was Mark and the trip back was Gary. Professional and friendly service all the way. Thanks for making our getaway stress free and perfect..
Mark was fabulous! He was right on time to pick us up. Excellent driver. Highly recommend Mark as a driver & Kevin Smith Transportation Group for your limo needs. Hired the KST Group for my son's birthday celebration. Our driver John was great…professional, punctual and friendly. The bus is awesome…the kids had a blast! Thank you for giving us such a good experience!!!! Rick is amazing!! Efficient and professional!! Thank you for another wonderful experience using this great way to take the stress off of getting to the airport. Very professional and reliable. My whole experience was fantastic! Thoroughly impressed by this organization. On the outbound trip to JFK, the driver arrived a few minutes ahead of schedule and on the return (a late evening arrival into JFK) our driver was there to greet us and nothing was too much trouble for him. Kevin Smith Transportation Group made it super easy to rent our party bus, accommodate our 20 teens multiple stops back and forth from the salon to photo shoot sites, circle back to pick up a couple who went rogue, and still get us to our …MoreKevin Smith Transportation Group made it super easy to rent our party bus, accommodate our 20 teens multiple stops back and forth from the salon to photo shoot sites, circle back to pick up a couple who went rogue, and still get us to our Flash Mob Fashion Show on time – in a town where driving and parking is not always easy. Our driver was so nice, and we had a blast. Thank you so much for a perfect ending to our crazy day! Matt was a great driver. Great way to start our trip!! We are well pleased with this service . Have used them several times always thinking of their clients , with attention to every detail . On time and professional. Very nice experience. Driver was excellent and the van/limo was well worth the money. On time, smooth quiet ride, door To Gate at Philadelphia airport. The only way to go! Punctual, polished, professional, courteous driver. Spotless, well maintained car. A glitch in making on-line reservations (home address did not pop up and could not make a manual addition) was compensated by a smooth phone reservation. Overall, outstanding service. Booking was excellent and receptionist was very pleasant. I recieved confirmation with driver's number 23 hours before my pickup to the airport. The driver contacted me to make sure everything was correct. The driver arrived 15 minutes …MoreBooking was excellent and receptionist was very pleasant. I recieved confirmation with driver's number 23 hours before my pickup to the airport. The driver contacted me to make sure everything was correct. The driver arrived 15 minutes early and waited till we were ready to leave. The driver was so polite and respectful. They made our trip easy and stress free. They gave us a tide back home and everything was great. Same great experience different driver. I have hired Kevin Smith Transportation Group for rides to and from the Philadelphia airport on a couple of different dates. They have always been on time, and their cars are very comfortable. Their drivers are also very nice. I highly recommend Kevin Smith Transportation Group. Top notch!! Perfect anniversary night out. 2nd time I’ve used them, couldn’t be happier!! Kevin Smith did an excellent job for our wedding. We rented a 23 passenger party bus and it was amazing. Spacious and super clean. Our driver Chris arrived early was pleasant and professional. Was very accommodating with having to make …MoreKevin Smith did an excellent job for our wedding. We rented a 23 passenger party bus and it was amazing. Spacious and super clean. Our driver Chris arrived early was pleasant and professional. Was very accommodating with having to make multiple pick up and drop offs. The company even gave us two Champagne glasses engraved with our names and wedding date as wedding gifts. Highly recommend them to anyone. Kevin Smith Transportation Group provided excellent service for our wedding. All pick ups and drop offs were on schedule and the guests enjoyed the modern interior and exterior of the mini bus, the fun lights, and the good music! We had a blast and thanks again! Highly recommend! We used KST for our July 2018 wedding. We used them as a shuttle to and from the hotel and the venue. The part I was most pleased about their service was their flexibility and honesty. When I wasn't sure about how big of a shuttle I needed, …MoreWe used KST for our July 2018 wedding. We used them as a shuttle to and from the hotel and the venue. The part I was most pleased about their service was their flexibility and honesty. When I wasn't sure about how big of a shuttle I needed, Julie, was honest with me about what size I would need, and told me I could down size the shuttle if need be. It was comforting knowing a vendor wasn't trying to rip you off, and was really looking to give you the service that best fit your needs. We used KSTG for limo service to and from Philadelphia airport. The drivers were punctual, extremely helpful, and courteous. The car was very clean and well-maintained. We'll definitely use them again in the future! Our drivers to and from the Newark airport were professional and courteous. They arrive a little early, and they take great care of the group. The vans are very clean and in good shape; and their rates are reasonable. I will always book with Kevin Smith Transportation Group. I’m usually not one to write reviews but after 10 days of travel in a large group of people with several transport companies used the transport provided from Kevin Smith Transportation group was far superior. We had very few abled body …MoreI’m usually not one to write reviews but after 10 days of travel in a large group of people with several transport companies used the transport provided from Kevin Smith Transportation group was far superior. We had very few abled body adults, and the children, handicap and luggage was quite a challenge. For this last part of our trip everything just went so smoothly. The driver Collin was such a help and took excellent care of us. He was professional and personable and I would recommend this company to anyone in need of transportation! Always great, right on time. 5 Star Service all around! KSTG is fantastic. We have used them twice now to pick up our group from meetings in Oaks, PA, and get us to PHL Airport on time. Our experiences could not be better. …More5 Star Service all around! KSTG is fantastic. We have used them twice now to pick up our group from meetings in Oaks, PA, and get us to PHL Airport on time. Our experiences could not be better. – Easy online booking – Immediate & professional confirmation of service – No issues with making changes – Gratuity is included in quote – convenient & appreciated! – Great communication – Drivers are courteous, professional and on time – Immaculate, top notch vehicles – Fair pricing, provided in advanceI recommend KSTG to everyone. They set the standard for how business should be. I reserved a party bus for my birthday celebration. It was a ladies night out to Atlantic City. Fun was had by all. The bus was equipped with all the resources that I needed. Our driver, Chris Dalton was the ultimate professional. I will be using Kevin Smith Transportation for all of my transportation needs. Thank you. What a great experience! The driver was so wonderful. On time and so helpful. The ride was flawless. Our driver, Matthew, was great! He was on time for our airport transfers and very nice and professional. The 8 person limousine was very comfortable for our 6 adult family members. The only issue we had was that I asked if our 5 …MoreOur driver, Matthew, was great! He was on time for our airport transfers and very nice and professional. The 8 person limousine was very comfortable for our 6 adult family members. The only issue we had was that I asked if our 5 suitcases would fit and was told they would. They didn't and we had to keep a carryon suitcase with us in the seating area. Something to consider when choosing which vehicle for an airport transfer but I would definitely use them again. Excellent service. Excellent staff. Definitely use again! Have used Kevin Smith transportation again and their attention to detail is the best!!! Always on time and so very courteous!! Highly recommend Kevin Smith Transportation (KST) not because they have the best prices (believe me they do!) ….they have they best service in town. I have used several companies over the years and KST has provided the smoothest pick up …MoreHighly recommend Kevin Smith Transportation (KST) not because they have the best prices (believe me they do!) ….they have they best service in town. I have used several companies over the years and KST has provided the smoothest pick up experience pre and post trip. They are prompt and keep you informed. Drivers are easy to contact if arrival time changes. Vans are exceptionally clean and drivers polite and professional. I couldn't ask for a more professional, courteous and relaxing experience before travelling. Fernando truly makes this part of the journey enjoyable. And for my return home, Damon brought laughter and good humor to extend the good vibes from a great trip. Highly recommended. My fiancé and I booked a limo to take us out in the city for a nice night. The limo was clean, the driver was very professional and the prices were very good. I would highly recommend Kevin Smith Transportation Group and we will definitely be using them again. Damien was on time ( early) , provided excellant service , used alternative route due to accidental , arrived on time , would use again ! Our driver arrived promptly and was very courteous and a great driver. He provided water and accommodated our needs. We arrived at the cruise terminal on time and stress free. Super Job Isaac. The road home was just as smooth. Andy accommodated our needs to stop and he navigated NYC traffic beautifully. Best way to go!. Awesome! Can we have the same driver in the way back. He was wonderful! On time and professional in every way. Thanks for a great experience! We loved Kevin Smith Transportation Group! They were so professional and easy to work with! Our driver David was FANTASTIC and everyone loved him. The only problem with Kevin Smith Transportation Group was that they messed up our billing and did not handle it well. Other than that we were so pleased with working with them. Drivers were great and got us where we needed to be in a timely fashion. Everyone was professional from my first phone call. The drivers where both well dressed and courteous to our group. I definitely recommend Kevin Smith Transportion and I will use them again in the future. Jackie was very patient and delightful when helping us find the best option that accommodates our needs. Fernando was a great driver. Very pleasant ride! Will definitely recommend KSTG!! We booked a stretch limo for our son's senior prom from Kevin Smith Transportation. CHRIS, their driver, was on time and so friendly, easy-going, and best of all, the kids had an absolutely amazing and memorable experience because by he …MoreWe booked a stretch limo for our son's senior prom from Kevin Smith Transportation. CHRIS, their driver, was on time and so friendly, easy-going, and best of all, the kids had an absolutely amazing and memorable experience because by he took the time to make sure they had an absolute blast! THANK YOU for everything! We will definitely be using your company again! We used KSTG for a team event in Philadelphia. They arrived right on schedule, even made a stop at a Hoagie joint for us on the way. Super professional and we'll definitely use them again next year for this event! Trip was great. Bus was on time and got our team to their game without any problems. Girls preferred the bus over the yellow school bus they usually travel in! First time using Kevin Smith Transportation Group & it was great. We had two stops for our trip to/from the airport plus lots of luggage. It was so nice that things went so smoothly. The drivers were not only helpful, but fun to talk to. Will definitely be using you again. I recently used KSTG for my wedding transportation. They were on time, professional and easy to work with. Honestly, the day of your wedding is very stressful, and you just want to not be bothered or think about small details. I haven’t …MoreI recently used KSTG for my wedding transportation. They were on time, professional and easy to work with. Honestly, the day of your wedding is very stressful, and you just want to not be bothered or think about small details. I haven’t heard any complaints about transportation to or from my wedding, and I count that as a win in my book. I also just looked at the champagne glasses they had in the limo for my husband and me, and they are engraved with our anniversary on them.. how thoughtful! It’s little touches like that that make this group worth your while. I would recommend them! The driver was friendly and the car was really nice. He was waiting for me to pick me up from the airport and texted me to let me know where he would be. The service was outstanding. They were punctual and courteous. I would highly recommend for any transportation needs. Driver Matt showed up 15 minutes early and was very polite and professional. The vehicle was clean and my son and his friends and prom dates said Matt was great. I will definitely use them again. Thanks. I have to admit I was a little weary that I had booked with the wrong company after receiving a phone call 2 months prior to the wedding that the party bus we had booked was having mechanical issues and it would most likely be out of fleet …MoreI have to admit I was a little weary that I had booked with the wrong company after receiving a phone call 2 months prior to the wedding that the party bus we had booked was having mechanical issues and it would most likely be out of fleet for our wedding but they would "upgrade" us to the stretch denali limo for the same cost we had initially been quoted for. In my mind I was convinced that the reason this came up was because they had over booked the party bus. However, my entire wedding party, my husband, and myself had a fabulous time in our stretch denali limo. It may have been a little cramped with 13 people in there but we made some wonderful memories. Our driver Constantine was also top notch and i would recommend this company because of him to anyone. He was so flexible, easy going, and professional throughout our entire trip. We also loved our complimentary champagne and engraved toasting flutes, it was a very nice surprise gift. I would defiantly use this company again in the future. Great service! We booked the shuttle for hotel guests at our daughters wedding. Everything was perfect. Great communication during the process, and a reminder day of. Shuttle was clean and ran on time. Driver was great. I would use them again for all important occasions. We used kevin smith transportation for our son’s wedding and could not have been more pleased. The drivers were courteous and pleasant, made as many runs as we needed between the hotel and the venue both before and after the wedding. Had …MoreWe used kevin smith transportation for our son’s wedding and could not have been more pleased. The drivers were courteous and pleasant, made as many runs as we needed between the hotel and the venue both before and after the wedding. Had recently been at a wedding where the transportation (with a different company) was a nightmare. I was so relieved when ours went so smoothly. I look forward to utilizing this service again in September for my daughters wedding. Amazing. KST transported my family to and from our wedding and everyone was so pleased with how clean and smooth the ride was, and how polite the drivers were! KST definitely helped to make our special day! We highly recommend!! KSG came through or my company when a previous vendor cancelled on us at the last minute. Easy to book, driver was on time and courteous, price was reasonable. Quality min bus with smooth ride and comfortable seating. Would definitely recommend! Matt was amazing! He drove us around the city from spot to spot to take our wedding pictures. It was a solid 10 degrees outside so it took some motivation to keep going. Matt kept the car toasty for us so we could jump out, get out images, …MoreMatt was amazing! He drove us around the city from spot to spot to take our wedding pictures. It was a solid 10 degrees outside so it took some motivation to keep going. Matt kept the car toasty for us so we could jump out, get out images, and jump back in to recover before the next stop. Thank you Kevin Smith for great service and competitive pricing. Thank you, Matt, for making our trip around Philly manageable and actually quite fun! Damon was our driver and was fantastic. Very helpful and on-time. The only issue we had was the vehicle was not big enough for us. The trip to the airport the vehicle was comfortable and big enough. This was oyr trip home and the vehicle sent did not accomodate our luggage and was not a comfortable ride home. Good communications, arrived on time, spotless car, professional driver.Excellent all around. I am so impressed with Kevin Smith Transportation. Not only did I love the convenience of receiving text message notifications 24hours prior to my drop off and pick up, but the professionalism displayed by our driver, Chris was …MoreI am so impressed with Kevin Smith Transportation. Not only did I love the convenience of receiving text message notifications 24hours prior to my drop off and pick up, but the professionalism displayed by our driver, Chris was outstanding. In terrible snow and road conditions, Chris was patient, alert and calm as he drove us to our wedding. What should have taken 45 minutes took over 2 hours because of road conditions and we were not charged more and they were still able to pick us up on time. Thank you so much to our driver, you were AMAZING! Drop off and pick up at Newark International airport. Drivers were on-time, courteous and helpful. Received confirming emails and text messages 24 hours prior to service. Upon our flight arrival the KSTG driver sent a text message to let us know where he was within the Airport and how to find him. Thank you for the good service. The driver was prompt, well-dressed, patient, able to engage in conversation without being talkative. Most importantly, he was a conscientious driver: safe, confident, timely. He allowed us to forget that we were on the road even when traffic was terrible on the way back. Professional, courteous starting from Julie in the office to both drivers Matthew & Gary. Prompt, on time for airport transportation both ways. Clean, comfortable Cadillac car for both trips. Will definitely be out first choice for car service from now on. Very happy we made the call. Thank you! Our driver was great and coorindating the trip was uneventful. Great service! I cannot tell you what a wonderful experience it was to have Max take us into Philadelphia twice for medical visits this week. He was very professional, helpful, and could not have been nicer to us. He represented your company very well, …MoreI cannot tell you what a wonderful experience it was to have Max take us into Philadelphia twice for medical visits this week. He was very professional, helpful, and could not have been nicer to us. He represented your company very well, and we plan to have your company take us in whenever we need to go in for medical visits. With the wonderful medical care available in Philadelphia, the door to door service you offer makes the care easy for us. Thank you for employing such a wonderful employee as Max, and for offering such a great service to your customers. Took our management team to an awards ceremony in Maryland. They were very professional in their estimates and confirmation process. They maintained continuous alerts on the status of the trip. The ride was great. Everything went smoothly. I highly recommend them for your business travel needs. I hired KSTG to take me to Newark Airport, Gary O. was awesome! He was prompt, and sent me a text letting me know he was there since it was early in the morning and he didn’t want to wake any sleeping members of the house. He helped me get …MoreI hired KSTG to take me to Newark Airport, Gary O. was awesome! He was prompt, and sent me a text letting me know he was there since it was early in the morning and he didn’t want to wake any sleeping members of the house. He helped me get my bags in and out of the car and helped me with my baby. We had a lovely conversation and the car was immaculate. Love KSTG! Communication was excellent. Received text message updates as well as when the driver arrived for pick up. Very mice vehicle, with a friendly, accomodating driver made for a nice ride to the airport. Will use again for my next trip to the airport. Always a pleasure. On time. Highly recommend this group! Ken, our driver, came to our door to tell us he was here. He was prompt and very friendly. Van was new, very clean and just what we expected. He got both the groomsmen and bridesmaids to the wedding venue at …MoreHighly recommend this group! Ken, our driver, came to our door to tell us he was here. He was prompt and very friendly. Van was new, very clean and just what we expected. He got both the groomsmen and bridesmaids to the wedding venue at the specified times. One less thing to worry about on the wedding day if you use this group. Price also very reasonable. My husband and I booked Kevin Smith for our wedding on 10/20/17 to take us from the hotel in the morning to the venue. We booked the 10 person limo. The ladies were picked up first and taken to the venue, then the limo went back for the …MoreMy husband and I booked Kevin Smith for our wedding on 10/20/17 to take us from the hotel in the morning to the venue. We booked the 10 person limo. The ladies were picked up first and taken to the venue, then the limo went back for the men. The limo was amazing, filled with lights, water, and glasses for anything we brought with us. Since we were getting married, we got a complimentary engraved pair of champagne flutes, which was a thoughtful touch.The driver was prompt and the drive was smooth! I can't recommend Kevin Smith Transportation Group enough! Thank you! Excellent service and extremely professional. I would highly recommend using the Kevin Smith Group for any transportation needs. We used them to transport out of town family members for our son's wedding to the various events throughout the weekend. Amazing company and top notch service. Our driver Matt was very friendly and professional. I would use their service again in a heartbeat. Our driver was courteous and prompt… and it was a treat to take your transport into Philly without worrying about trains or traffic. Thank you. I found them and used them for my wedding and they were awesome. But we've used them twice since then and they continue to be great. Super nice staff and their party Buses are awesome. So much fun! I've been in some OLD party buses for bachelorette parties and it is not fun. If you want to do it right, do it with them. On time, Very professional driver, great comfortable car! This automation and notifications, confirmations were appreciated. We used Kevin Smith to and from Phila airport. The drivers were on time, courteous, and fabulous drivers. Would recommend and use again! We hired Kevin Smith Transportation Group for a staff trip to NYC for the day. Our vehicle was great (clean, well equipped, comfortable) and our driver, Constantine, took great care of us. He made it an easy ride to NY, navigated well …MoreWe hired Kevin Smith Transportation Group for a staff trip to NYC for the day. Our vehicle was great (clean, well equipped, comfortable) and our driver, Constantine, took great care of us. He made it an easy ride to NY, navigated well throughout the city, and was there whenever we needed him. Would definitely work with Kevin Smith Transportation Group again, highly recommend! Kevin Smith Transportation group was communicative, flexible, timely, and constantly professional. Robert, our driver, was so kind and lots of fun! We will definitely use them for our transportation needs in the future. From scheduling to pick up – we were very pleased with the Kevin Smith Transportation Group – we would hire them again. Thanks! Very happy with the service!! Pick up was on time!! Courteous, professional service; very comfortable and clean vehicles. Good communication with clients regarding reservation status. I would book with this company again. Our experience with Kevin Smith Transportation Group was great. Our driver, Rob was friendly and very helpful. Excellent all the way around…from booking to the day of our event! I had Constantine as my driver, and I could not have asked for a nicer guy!! My now husband and I used KST for our wedding party bus and it was a great time. The bus was clean, Constantine was on time, attentive to our needs (bathroom stop …MoreI had Constantine as my driver, and I could not have asked for a nicer guy!! My now husband and I used KST for our wedding party bus and it was a great time. The bus was clean, Constantine was on time, attentive to our needs (bathroom stop during pictures), and even had a bottle of champagne chilling for us after our ceremony. I would definitely recommend Constantine and KST for a party bus! Thank you again Constantine!! First time using KSTG – roundtrip to JFK airport. Timely, friendly, and very professional drivers. Reasonable prices too. We will definitely return. Driver showed up on time and was very courteous to all the guests. He was in constant communication with us, shuttle was very clean and comfortable. The drivers were friendly and reliable. The van was spotless and very pleasant to ride in. Very organized and responsive to questions. The service provided was just what we needed! We worked with Kevin Smith Transportation to transport our group of salespeople to different sites around center city Philadelphia. The vehicle was clean and new, the driver was professional and the team loved it! We would absolutely recommend them. If you're looking for a transportation solution, look no further than KSTG! They are willing and able to help via email and will provide images of your van/bus/car before you rent. I worked with Julie to make our reservation. She was …MoreIf you're looking for a transportation solution, look no further than KSTG! They are willing and able to help via email and will provide images of your van/bus/car before you rent. I worked with Julie to make our reservation. She was attentive and willing to answer any and all questions. I rented an 18 passenger party bus for a night out. The bus was very clean, we had the ability to control music and lighting on board. Our driver was very kind and professional, definitely went above and beyond to help us decorate and take care of our group. I look forward to booking with KSTG in the future. Thanks for everything, you made our night out one to remember! Our driver was fantastic. We had a rowdy crowd but she made sure that we arrived on time and safely. The vehicle was awesome as well! Can't wait to use KST again! Driver was on time, courteous and very familiar with our destination.Easy trip. KSTG made a great family night out even better. We went to the Luke Bryan concert at Citizens Bank Park and wanted everyone to enjoy the night. No worrying about Friday rush hour traffic, parking or trying to get out of there after the concert. The car was clean and our driver was fantastic! We will definitely use KSTG again! Awesome experience. Harrison is a great driver. I had the pleasure of working with Travis to arrange shuttles , buses, and town cars for my son's wedding this past weekend. His personality is perfect for the job, making my life much easier than anticipated . We also had the most amazing …MoreI had the pleasure of working with Travis to arrange shuttles , buses, and town cars for my son's wedding this past weekend. His personality is perfect for the job, making my life much easier than anticipated . We also had the most amazing bus driver for our 29 passenger bus named Chris. He was with us for 12 hours-poor thing! lol Both of these men are an asset to the company. Thank you both for a great job, you will be highly recommended to all we know! Kevin Smith Group were great! They showed up on time and went the extra mile (no pun intended). The drivers were all very personable. They arrived ahead of time for picking up wedding party and shuttling hotel guests from hotel to wedding …MoreKevin Smith Group were great! They showed up on time and went the extra mile (no pun intended). The drivers were all very personable. They arrived ahead of time for picking up wedding party and shuttling hotel guests from hotel to wedding venue. As Mother of Bride, we were on the last shuttle back to hotel with friends of the bride and groom – so a bit of a rowdy bunch singing on the way back. The driver was great. So happy we selected Kevin Smith Transportation Group for our daughter's wedding. They really helped me determine all of our transportation needs and how to maximize the use of each vehicle. Thank you again! Harrison and Elliot were the best! Genuinely helpful! Everything was perfect. Thanks! We had a wonderful experience. Chris, our driver was kind, professional, and an excellent driver! This was such a great choice of transportation! They transported our employees from our business in Harrisburg Pa to Phila airport and then back the following week. They are prompt, professional, and friendly. Made what could have been a …MoreThis was such a great choice of transportation! They transported our employees from our business in Harrisburg Pa to Phila airport and then back the following week. They are prompt, professional, and friendly. Made what could have been a hectic start and end to a trip, relaxing and enjoyable. Thank you to both drivers who were safe drivers and made sure we were all comfortable and well taken care of. GREAT JOB! Use this company you won't regret it. Best transportation we have ever used. Timely, clean, safe. Everything you are looking for in transportation! Amazing trip began with KSTG! AWESOME AS ALWAYS! Thanks for always taking care of the Family! Unreal service! From a groom who forgot to get the ride for the Bridal Party…I called the day before our function – and these people jumped thru hoops to get me out of what surely would have been my death! My now Bride, made it a point to …MoreUnreal service! From a groom who forgot to get the ride for the Bridal Party…I called the day before our function – and these people jumped thru hoops to get me out of what surely would have been my death! My now Bride, made it a point to tell me how polite – professional – and "kind" the driver – Fernando – was to them – and how "classy", clean, and roomy the vehicle was. And in June – how the temperature inside was "just right"! OH MY GOD! THANK YOU KSTG for helping us make our day go well – and not having to use a burial site! I surely will be using you for all my services in the future. 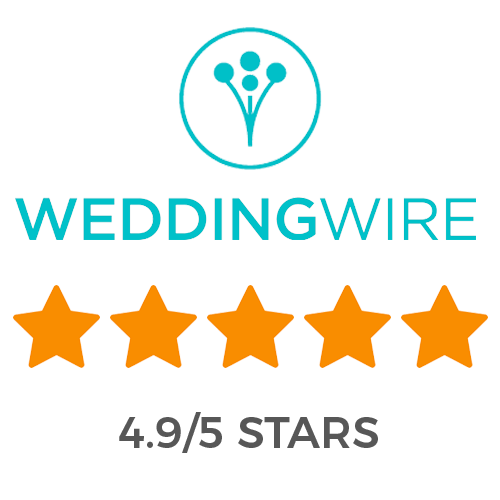 We used this service for our wedding party and it was absolutely amazing! They catered to our every want and need even when our schedule Consistently changed! 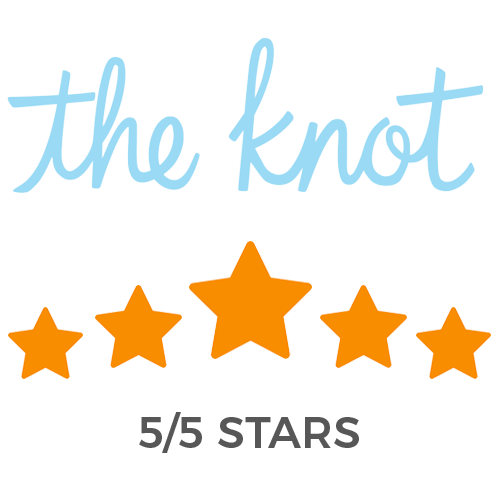 I would absolutely use them again and recommend them to anyone looking for a limo service! KSmith Transportation Group is wonderful! Professional and friendly staff, and very prompt in returning calls and emails. Had the airport Fiasco to end all Fiasco's this week where my flight was cancelled twice, both times it was right when I had already arrived at the airport. I felt utterly stranded. On the plus side however, the Kevin Smith Transportation …MoreHad the airport Fiasco to end all Fiasco's this week where my flight was cancelled twice, both times it was right when I had already arrived at the airport. I felt utterly stranded. On the plus side however, the Kevin Smith Transportation Group, specially Gary my driver, was incredibly helpful. Gary waited around when I did not know if I would fly back and ultimately took me back to where I was staying when I was booked on a flight a whole day later. They even helped me arrange getting back to the airport the next day. All and all, what could have been a catastrophe ended up being pretty much fine. Thanks so much Gary for looking after me and the guys in the office for acting quickly to make sure I could get where I needed to go! Went to see Doobie Bros & Chicago at BB&T in Camden. Our driver was great and we would use the service again! Excellent service! I used KSTG for transportation to/from the hotel & to an off-site venue for a recent conference of 15 guests. The drivers always arrived early and were very friendly and accommodating, and the vehicles were top-notch …MoreExcellent service! I used KSTG for transportation to/from the hotel & to an off-site venue for a recent conference of 15 guests. The drivers always arrived early and were very friendly and accommodating, and the vehicles were top-notch (and well air-conditioned!). I will be using KSTG for my future conferences and professional transportation needs. Perfect. Picked up at airport. Driver was professional very personal. Car was clean comfortable. We used a party bus and an SUV for transporting the wedding party and our parents from ceremony to reception. Travis was very helpful in the planning, and everything ran smoothly the day of. The party bus was so fun- everyone loved it. Thanks for everything! I used KSG for throwing a bachelor party for my friend this weekend, and they were amazing in all areas. Setting up and getting a quote was easy and fast, I immediately got a response to any questions I had and they worked hard with me to …MoreI used KSG for throwing a bachelor party for my friend this weekend, and they were amazing in all areas. Setting up and getting a quote was easy and fast, I immediately got a response to any questions I had and they worked hard with me to find the best way to make the night a success. You get an email with who your driver is a few days before which I felt helped me to recognize who I'm looking for rather than the guessing game that can sometimes come with meeting someone for the first time in a situation like this. Our driver, Keith was a fantastic person who is great at his job. He texted me early in the day to go over where and when to pick us up, immediately understood, and ended up early which was great as the game ended early and we were able to find him and move to our next location. He also texted a photo of where he was in relation to the stadium, which made finding him simple and relieved any stress I might have had. The bus we were on was very spacious, not cramped at all, and they'll keep the temperature at whatever you'd like depending on season and weather. It was a very smooth ride as well, I hate driving in the city but I felt very comfortable with Keith and KSG. When he dropped us off at our location he explained what was going on with him and that to call him or text at any point to let him know of any changes. We didn't stay as long at the second location as we had originally planned, but Keith was immediate in coming to get us and texting if I had any questions. Overall KSG did a amazing job of taking all the stress out of transportation and moving to multiple locations. From the customer service of making sure it was a night to be remembered to the constantly in contact driver, KSG really goes above and beyond for anyone who books them. I would recommend them to anyone and everyone. Used KSTG for family of 5 transportation to and from Philly International. Two different drivers. Both were on time, very courteous and most important good drivers. In addition, they were not drones. They held a conversation but also respected the family conversation. I would highly recommend and will use KSTG again. Great service. Prompt, courteous. Would definitely recommend and use again. Elliott was awesome! From beginning reservations to end driver pickups, working with KSTG was smooth, transparent, and economical. Hired an XTS for a small wedding party to be shuttled from hotel to venue and chauffeur Gary was exactly what was called for. Evening bride and groom pickup by Matt went flawlessly. A very crisp, no worry operation. Our driver was both professional and friendly. The vehicle was luxurious yet comfortable. Transportation for a family of four, with too much luggage, in an unfamiliar city can be stressful. But, having a driver and vehicle waiting for …MoreOur driver was both professional and friendly. The vehicle was luxurious yet comfortable. Transportation for a family of four, with too much luggage, in an unfamiliar city can be stressful. But, having a driver and vehicle waiting for us allowed us to relax. We knew our family and destination were in good hands. We highly recommend using Kevin Smith Transportation Group for your transportation needs! Amazing!!!! From the start of planning with Adam to the actual day of service, everything was amazing. The drivers were super kind and patient when our wedding timeline ran behind. The champagne and engraved glasses were the highlight of my …MoreAmazing!!!! From the start of planning with Adam to the actual day of service, everything was amazing. The drivers were super kind and patient when our wedding timeline ran behind. The champagne and engraved glasses were the highlight of my wedding morning- it was so thoughtful and such a nice surprise that I wasn't even expecting at all. That gesture really started to help me feel bridal on our big day. Can't wait to work with you guys again for our next event! On time, professional, and friendly. Stress free transportation. Would recommend to anyone looking for transportation. Fantastic company. We literally had no issues and they were extremely accommodating. Highly recommend! I have used Kevin Smith Trans on several occasions and have been most impressed with their professionalism. However, they went above and beyond this most recent time. What was meant to be a simple airport pick up ended up being a fiasco …MoreI have used Kevin Smith Trans on several occasions and have been most impressed with their professionalism. However, they went above and beyond this most recent time. What was meant to be a simple airport pick up ended up being a fiasco because my brother left his cell phone in the back seat. Chris, our driver, called me immediately to make me aware — but then was kind enough to meet my brother hours later and deliver it to him personally!! Owner, Kevin is hands on, Adam who handles scheduling is very efficient, and every driver that I have encountered has been on time, polite, and accommodating. Chris gets the GOLD STAR!! Adam knows how to take care of his clients and Chris is the best driver!!!! The limo is beautiful. Dear Team Kevin Smith Transport!You were awesome!We loved the Party Bus- it was so much fun! Both returns for Kathy (Pres of …MoreDear Team Kevin Smith Transport!You were awesome!We loved the Party Bus- it was so much fun! Both returns for Kathy (Pres of First Class Travel) and my foursome- yesterday – were amazing! Your vehicles are sparkling clean, your drivers are professional and wonderful, your service is fantastic; your billing is clear; you were perfectly on time for all 3 of our bookings- Thank You! OUTSTANDING SERVICE…..recently took my family to Philly for a long weekend. KS provided airport transfer to and from the hotel. We also asked for a city tour on Sat and they provided us a very knowledgeable driver who was friendly and …MoreOUTSTANDING SERVICE…..recently took my family to Philly for a long weekend. KS provided airport transfer to and from the hotel. We also asked for a city tour on Sat and they provided us a very knowledgeable driver who was friendly and very accomodating. We were able to see so much in just a few hours with him driving us around. 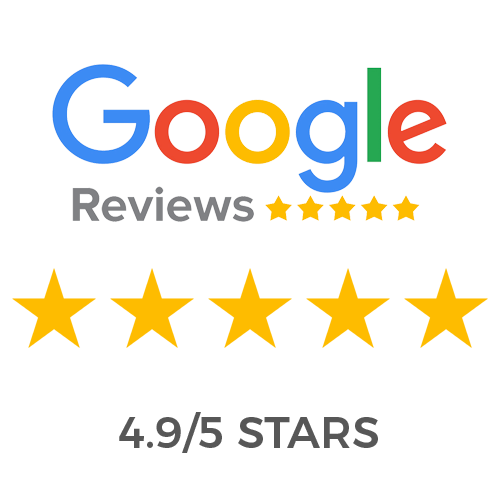 Great service and great communication…i would highly recommend. Wonderful experience!! Driver was super nice, Gus!! We used them for our event to Philly and it was fast and efficient. Bus was clean and well maintained. Would use them again and recommend them to others. The service was excellent, the driver Gus Cinstantine was prompt and extremely professional!! Driving was very good and felt extremely safe and was a great experience! Would recommend to anyone for a nice night out on the town, weddings or just about anything! What an amazing company!! They provided a bus to take our team down to Philly for the Mother's Day walk! The bus was huge and clean! The driver was the nicest guy! I would reccomend them a million times- we will for sure be using them again!! What a great night! Our driver Chris was right on time and very courteous! So nice to not have to drive down to the city ourselves! Kisha was great! Contacted me early to keep me posted of her arrival. And we got to the church on time. Great service! We used Kevin Smith for our wedding. They're fantastic to work with. Drivers arrived ahead of schedule and were very professional. We used one of the party busses for a night down in Philly. It was a surprise for one of our guests and KSTG was amazing with helping us coordinate multiple pick-up locations prior to getting the birthday girl. We had last minute changes to …MoreWe used one of the party busses for a night down in Philly. It was a surprise for one of our guests and KSTG was amazing with helping us coordinate multiple pick-up locations prior to getting the birthday girl. We had last minute changes to timing and pick-up locations and KSTG accommodated us without an issue. The bus itself was in beautiful condition and we enjoyed the lighting, music, and tv screens! Our driver, James, was awesome! We made great time getting to all locations and he was able to pull off door-to-door service in the city. He was very personable and we would love to have him again. We will definitely be using KSTG in the future! We had a great experience with Kevin Smith transportation Group. All of our drivers were timely and very professional. They made us feel safe and were very polite during the entire trip. They were aware of our flight information and if …MoreWe had a great experience with Kevin Smith transportation Group. All of our drivers were timely and very professional. They made us feel safe and were very polite during the entire trip. They were aware of our flight information and if there were any traffic delays. Thanks for being our transportation group. We look forward to working with you again in the near future. Both of the vehicles I rode in were nice – very spacious and clean. Plus the driver was cool too! I used Kevin Smith Transportation Group for my bachelorette party. We went to the Phillies game in one of the big vans which was very comfortable and roomy. We were then picked up at the end of the night in the party bus which was amazing- …MoreI used Kevin Smith Transportation Group for my bachelorette party. We went to the Phillies game in one of the big vans which was very comfortable and roomy. We were then picked up at the end of the night in the party bus which was amazing- tvs, coolers, and color changing lights, etc. just made the experience awesome. Our driver Constantine was fantastic- arrived 10 minutes early for the pickup and drop off and was very courteous. The guys who helped me with booking (Travis, Adam and Patrick) were really friendly and made the whole process super easy. I would recommend KSTG to anyone in the tri-state area! Great driver, nice car, arrived on time despite rush hour traffic! Amazing experience! Chris Dalton rocks. Gary was absolutely fantastic. Not only was he early to pick us up but when I realized I forgot my passport he turned around and took me right back to pick it up. We had a wonderful time Saturday evening. Our driver, Chris, was a wonderful and helpful person. He took care of all our needs and was prepared from first arrival to final dropoff. Highly recommend using Kevin Smith Transportation for all your travel needs! Awesome night, our driver Gary was professional, courteous and on time, the limo was gorgeous, comfortable and well taken care of. It was so nice for the four of us to go out and not worry about a thing, Gary took great care of us & made …MoreAwesome night, our driver Gary was professional, courteous and on time, the limo was gorgeous, comfortable and well taken care of. It was so nice for the four of us to go out and not worry about a thing, Gary took great care of us & made sure we got home safe and sound. We would highly recommend Gary & Kevin Smith Transportation Group. Looking forward to some winery tours this summer!!!! Very professional, courteous and prompt. I wouldn't hesitate to use them again. The service was excellent, the driver was prompt and in contact at all times and was an expert at his craft. Would recommend to anyone for a nice night out on the town. We used KSTG for our work christmas dinner for a limo and it was a fantastic experience. The limo was beautiful and our driver was punctual and very professional. I would absolutely use them again!!! !